This is the introduction to a series of journal articles on EPA, the Department of the Interior, and the Gold King Mine Disaster. It is now two years after the release of 3 million gallons of acidic mine waste and tailings from the Gold King Mine into Cement Creek north of Silverton, Colorado. Environmental Protection Agency (EPA) excavation at the mine on August 5, 2015 caused a blowout that resulted in the pollution of the Animas and San Juan Rivers with mine wastewater and tailings including dangerous heavy metals like lead, arsenic, cadmium, copper, mercury, nickel and zinc. Perhaps you still recall the amazing aerial photos showing the bright orange plume of polluted water ominously making its way downstream from Colorado to Utah, New Mexico and Navajo Nation – contaminating drinking and irrigation water along the way. No federal officials or contractors have been held accountable to date for the environmental pollution caused by the spill. 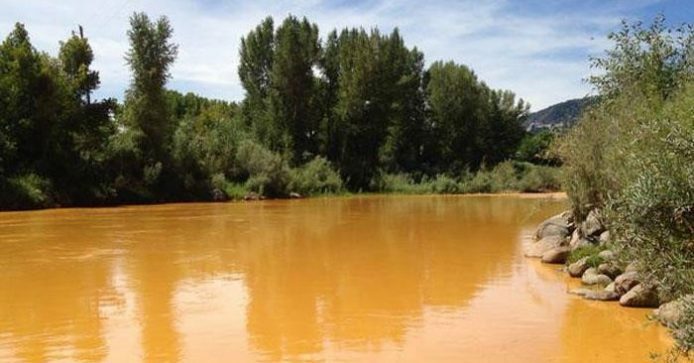 In fact, even after admitting fault for the toxic release which contaminated drinking and irrigation water across three states in August 2015, it appears that no one at the federal agency that caused the mine breach has faced any penalties or repercussions. This is the introduction to a five-part series of articles on the Gold King Mine disaster. Part 1 of this series will focus on the apparent EPA double-standard of not holding itself to the same level of accountability as it would a private entity or corporation. Similar environmental disasters in the past have been subjects of criminal investigations that resulted in severe penalties and/or jail time for those responsible. Part 2 will explore some of the questionable aspects of the EPA’s internal investigation of the cause of the environmental catastrophe. Part 3 will highlight the Department of Interior’s (DOI) “independent” investigation of the event even though DOI was an owner of the mine. Part 4 will reveal details of a retired geologist’s whistle blower prediction of a mine breach one week before the blowout. And Part 5 will conclude the series by showing how the alleged “accidental” disaster resulted in a Superfund designation for the area that the EPA had unsuccessfully been seeking for decades, potentially providing it with hundreds of millions or more in taxpayer dollars.